After lunch, we carried on the Hualapai Canyon until it meets the Havasu Canyon, where the Havasu have kindly placed a sign so that hikers know which way to travel along the canyon. 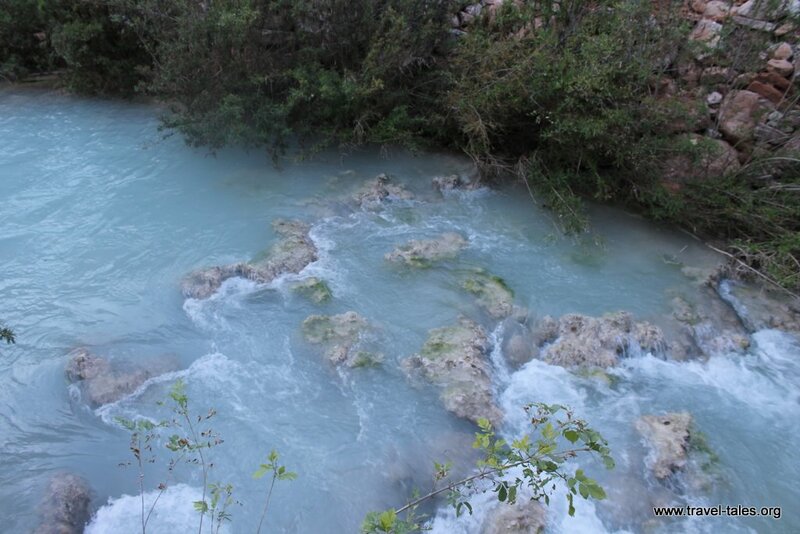 The river is saturated in Calcium Carbonate which gives it the bright turquoise colour. It reminded me of Alpine rivers which also run through limestone where they pick up this mineral. 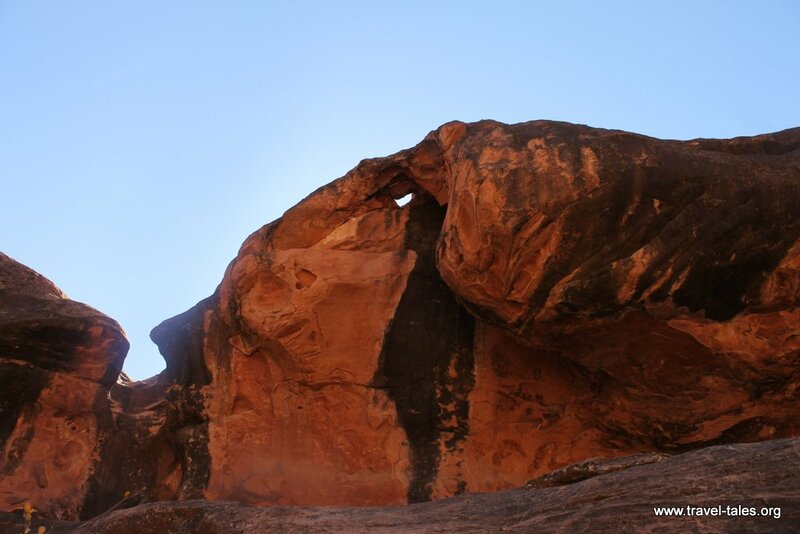 What makes it even more spectacular is that after reaching super saturation in the plateau limestone, it then travels through the canyon of Redwall Limestone creating the amazing colour contrasts which makes Havasu such a tourist destination. We walked along the river into the village where our guide Peter registered us for our stay and I sent my cat a postcard. The US Postal Service uses mules to transport post up and down the trail we had hiked and anything posted at Supai is post-marked ‘The Mule Train Mail’. As I was cropping the picture, I realised their date stamp is a little out of date, I did this trip in November 2015, not 2 years before! 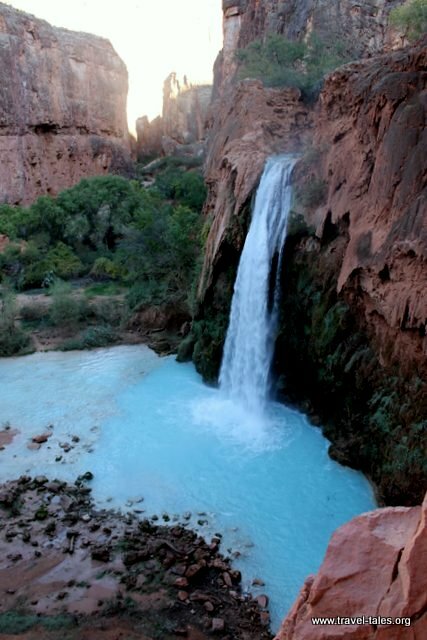 and then the famous Havasu Falls. 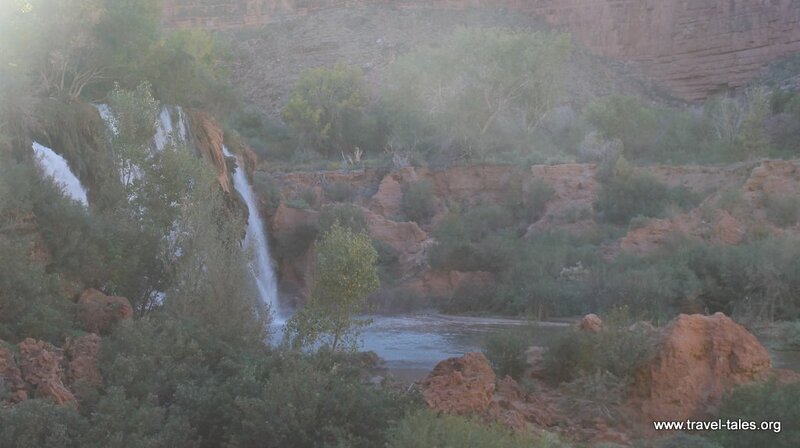 The campsite is directly down river from Havasu Falls – we had arrived! We unpacked and walked back to Havasu Falls for a bit of a swim, fortunately the Havasu Creek is a lot warmer than the Alpine rivers I’ve encountered; it is approximately 21C (70F) all year ’round.